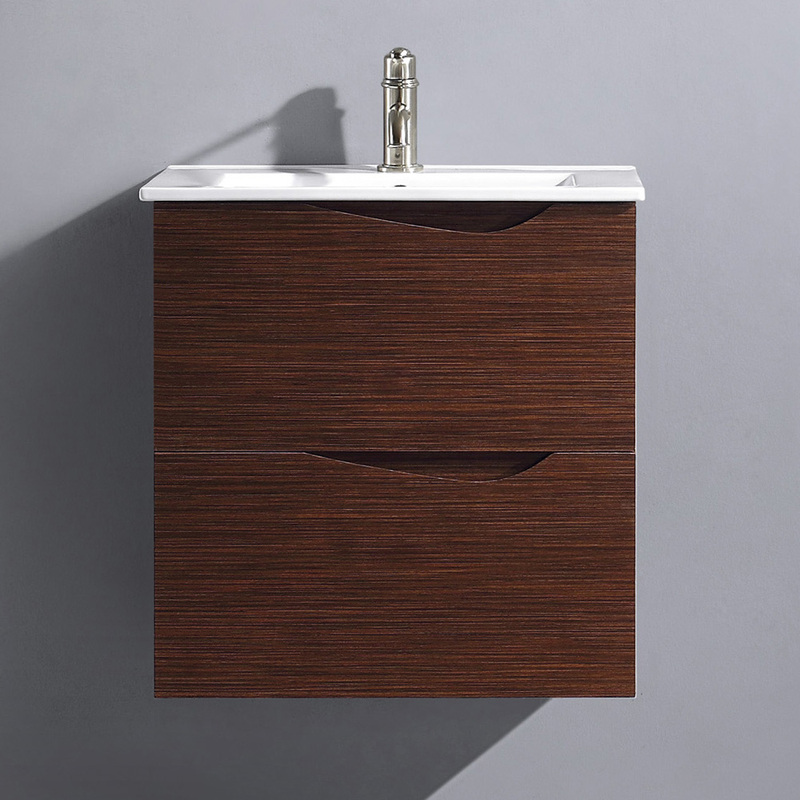 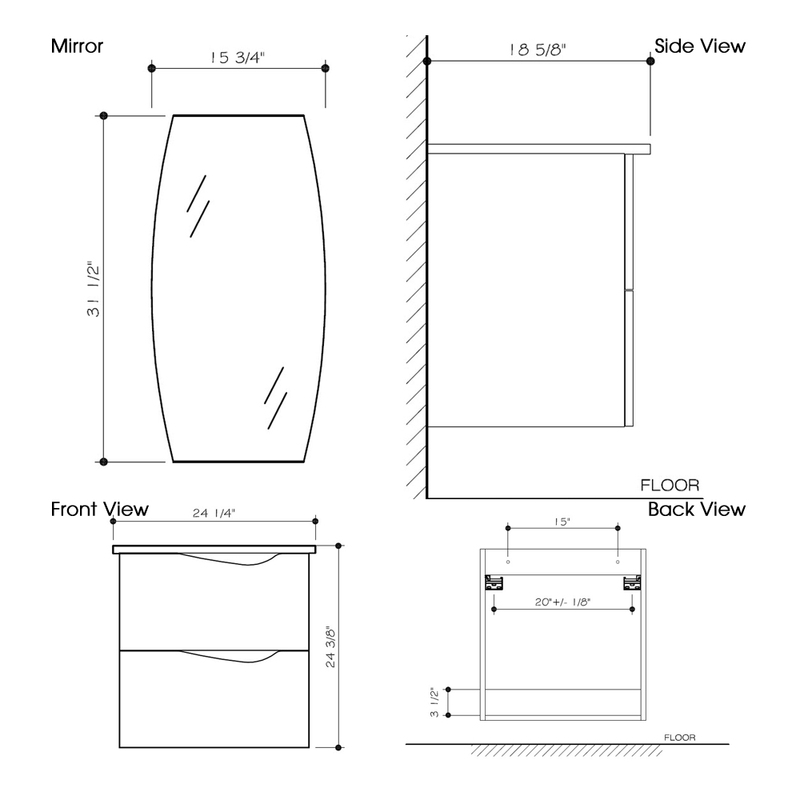 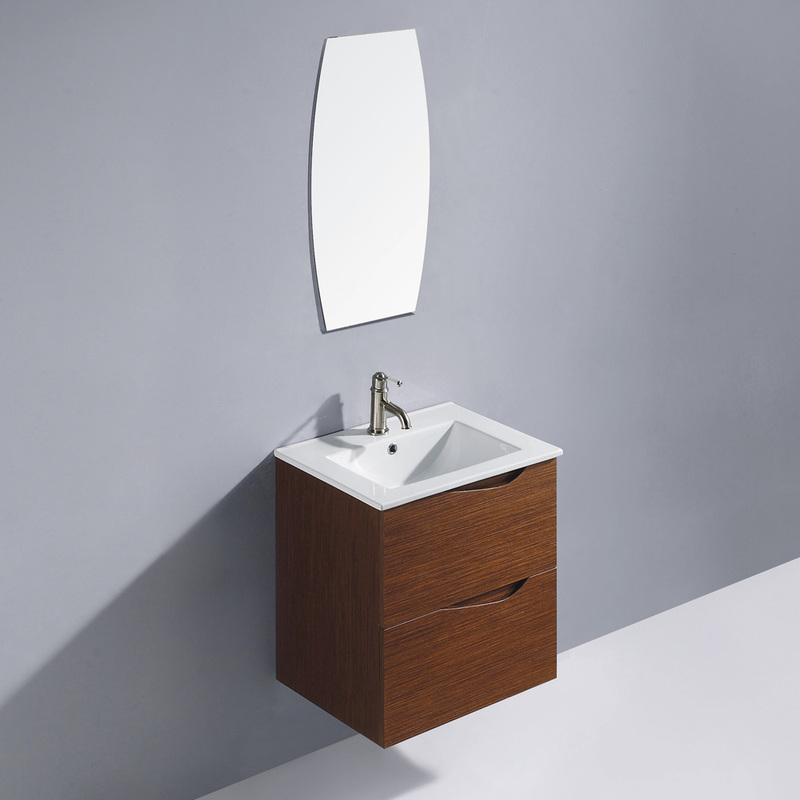 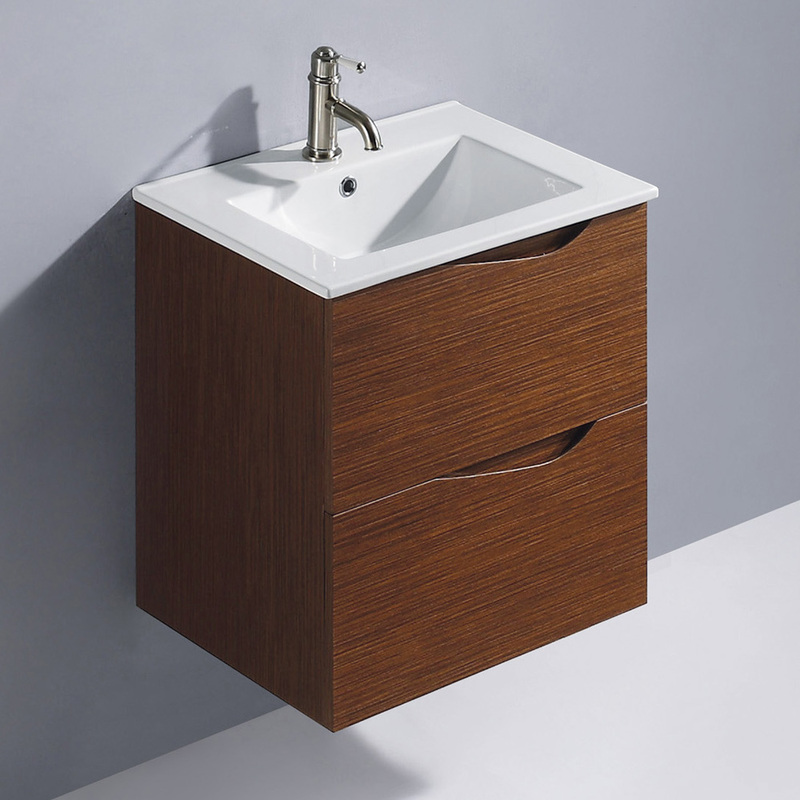 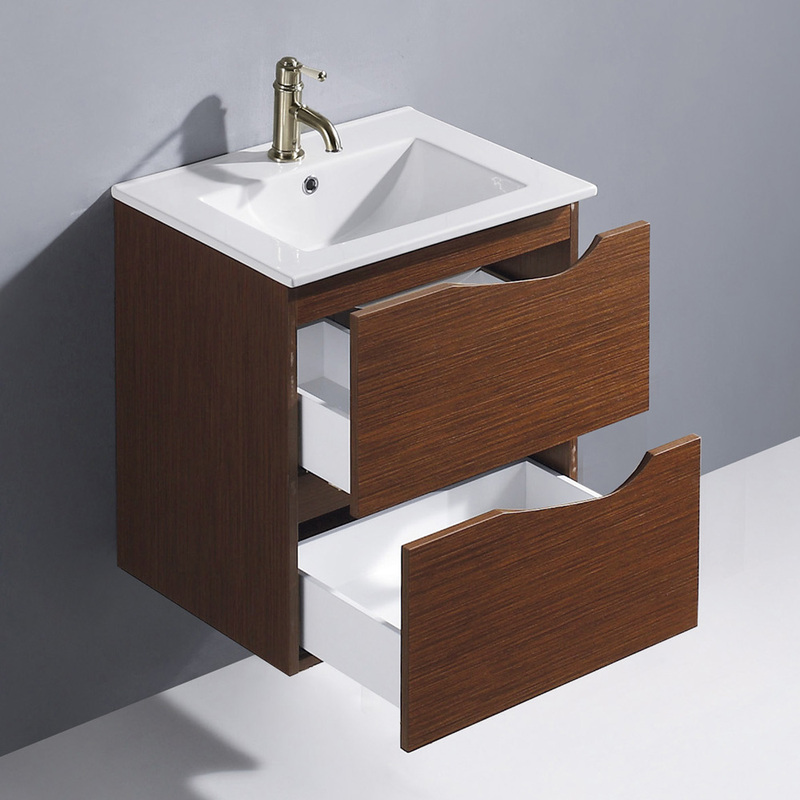 Give your bathroom an artistic air with the 24" Suzuetta Wall-Mount Single Vanity. 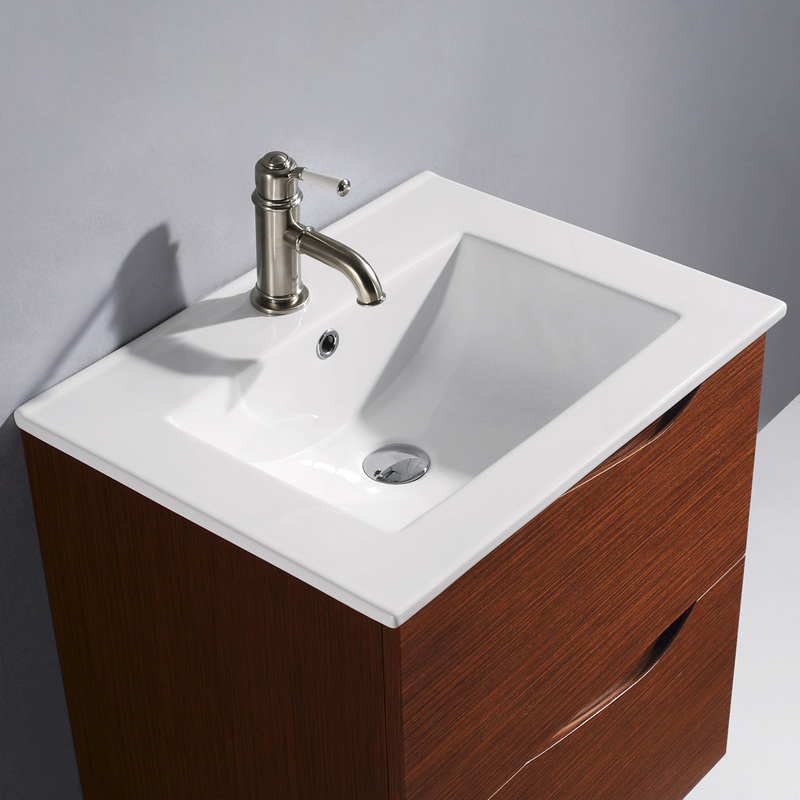 With its petite size, the Suzuetta can easily fit into any small bathroom, while giving it a more spacious feel. 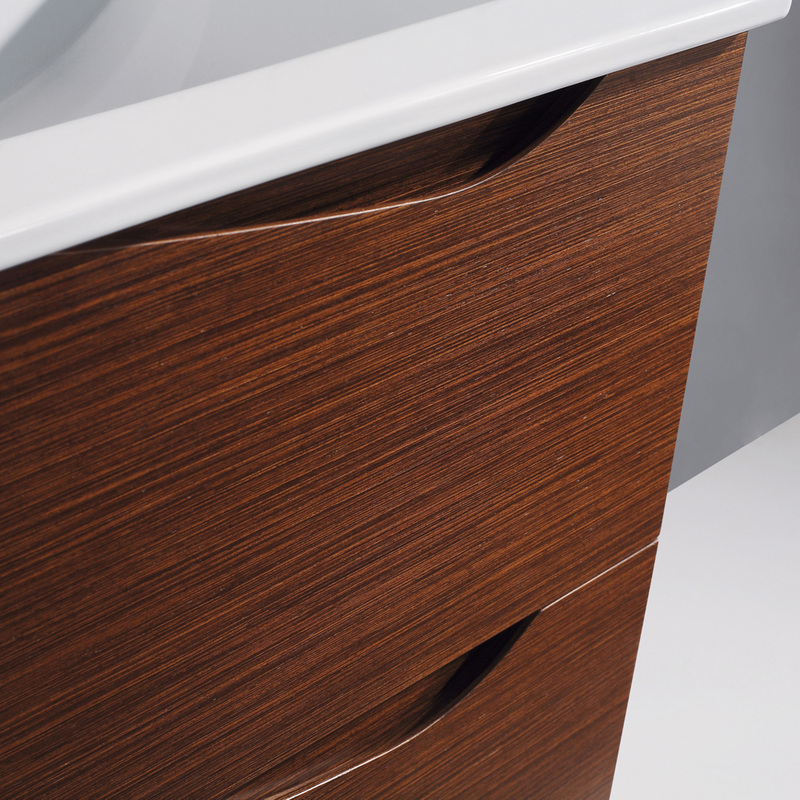 Its Wenge finished cabinet is made from a highly durable solid engineered wood, and features 2 pull-out drawers installed with soft-closing glides for storage space and durability. 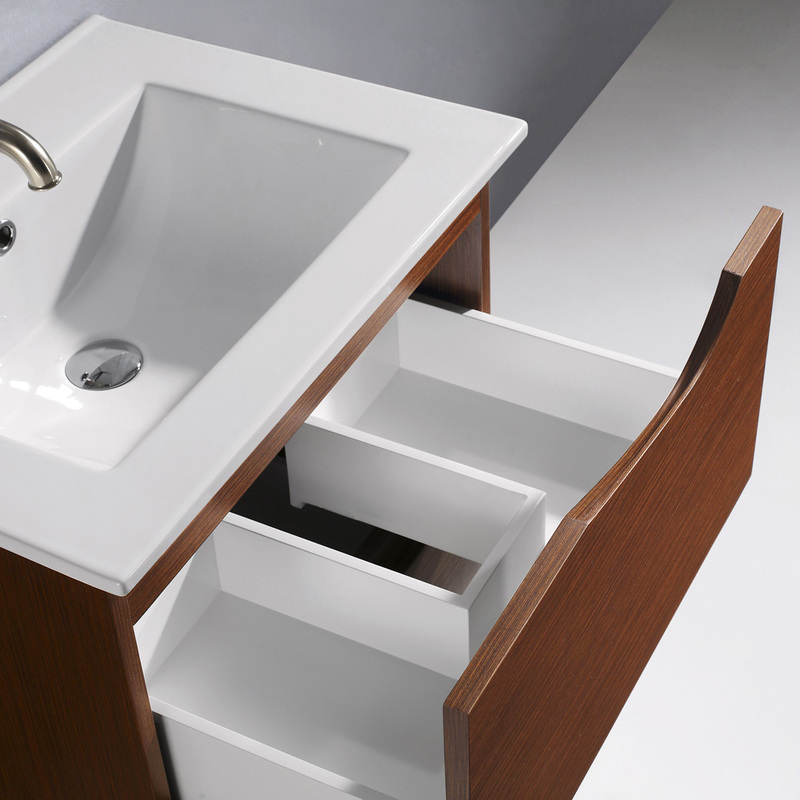 The integrated sink top is made from a sturdy white ceramic and offers a large sink space to make spilling over nearly nonexistent! 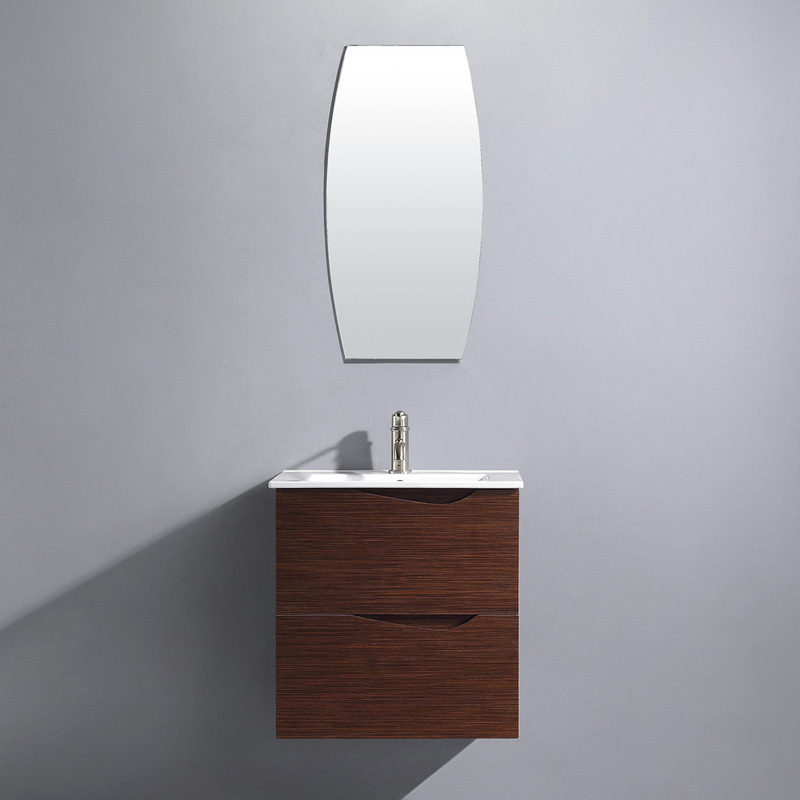 Make the most of your bathroom by matching the Suzuetta with its matching mirror!